Welcome to the Echa Plastic Products Website. Here you will find all the products you need to suit your plastic packaging requirements. Whether you a have a new or well-established company we can help you. Echa Plastics was established in 1999. In the last 12 years, we have built up a wealth of experience in the plastic packaging industry. We received an International award for Technology and Quality in 2005 in Geneva. Our dynamic and energetic staff can assist in helping you choose the ideal plastic product for your needs. We stock only the best products and like to treat all our customers as part of our family. Listen to any complaints or compliments you might have and give them equal importance. We stock products made from the following plastic materials, and offer printing services on certain bottles and buckets. This is the type of printing done on plastic bottles. 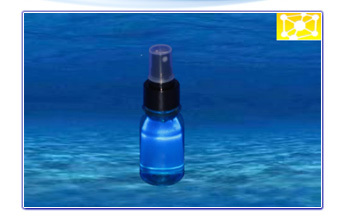 HDPE bottles that can be printed in the range we stock are 100ml, 250ml, 500ml and 1lt. Labeling is an option on some of the other containers we stock. This is the type of printing done on plastic buckets. Buckets that can be printed in the range we stock are 1Lt, 2Lt, 5Lt, 10Lt, 20Lt and 25lt. The information supplied is for objective and general information purposes only. The information contained herein has been obtained from sources and people we believe to be reliable, but its accuracy is not guaranteed.